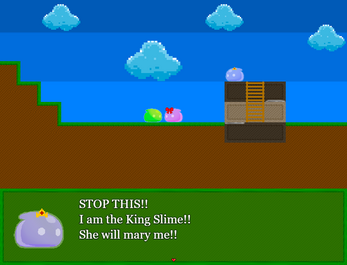 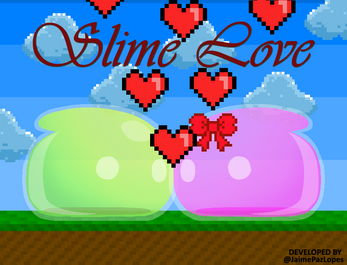 King Slime kidnapped you girl, go save her! Use Arrow Keys to move. 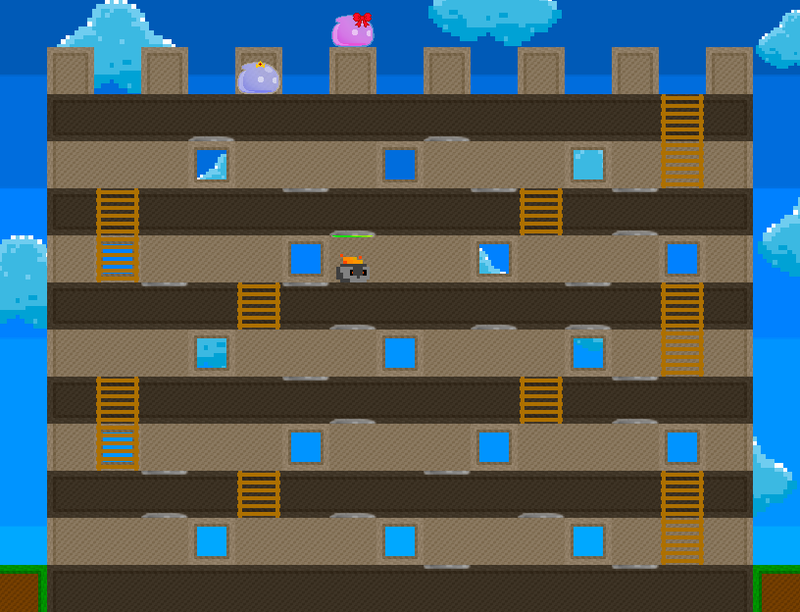 You can attach yourself to the silver part of the floor or celling using Arrow Down or Arrow Up. Use it to avoid enemies. If they catch you, they will arrest you.